I really won’t be able to do the Memory Lane every week. I don’t have a faithful linking crew anyway, but I really do enjoy sharing memories and love hearing about other’s. I just wanted to let you all know that it may end up being a bi-montly carnival instead of weekly. We went fishing this weekend. 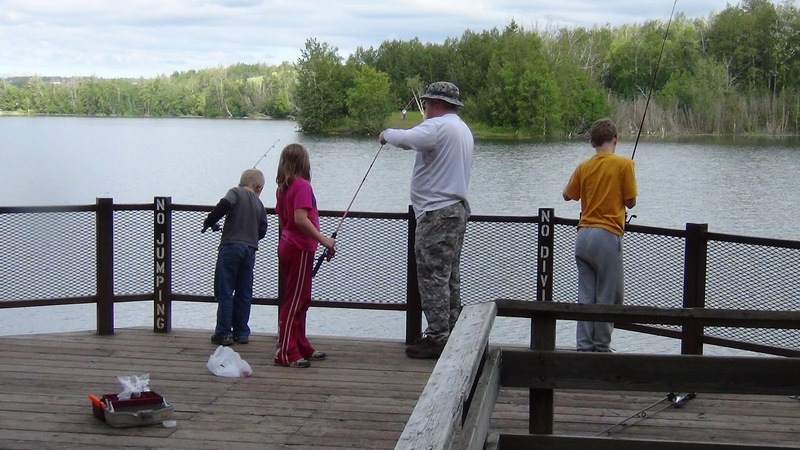 It was the first time for my kids to cast a line into a lake. Their first time wasting, er I mean spending hours standing beside a lake wondering why the fish aren’t biting. You know, the whole fishing experience. 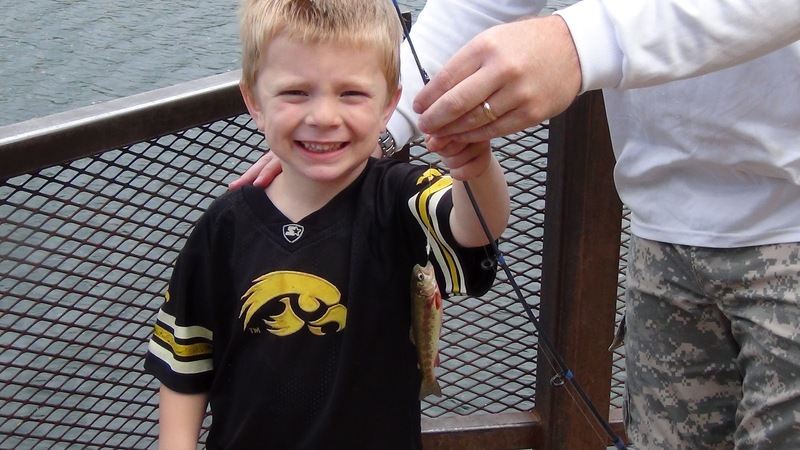 the first one to catch a fish was JJ, the youngest angler in the group!! Way to go JJ!!! I remember another time, the most memorable fishing experience in my young life. I was up for the summer in MN with my best friend. Her father (my uncle) was a lover of the sport of fishing. We headed to the lake one fine, calm, morning, Layni, my uncle, myself, along with another person I don’t really remember. We spent hours casting and catching some pan fish for a fantastic fish fry! My uncle had plenty of zucchini in that year and we were going to have fried fish and fried zucchini for supper. Oh man, my mouth waters even now thinking of it!!! Have any memories to share?? Feel free to leave a link in the comment section and share them!! Are they really a supreme court? Oh my word, Kay!!! I’ve been out of the loop for far to long. Great to catch up and see that you’ve moved all the way across the country and are getting settled in. Hope all goes smoothly as you continue the transition. It always takes a bit before the new home feels like home, doesn’t it? It truly does take awhile 🙂 I just hate figuring out a new kitchen system and flow. How is your pregnancy going? ?